We posted a quick survey on our Newsletter and our website asking some specific questions about your experiences in Masonry at Blazing Star Lodge #694 F&AM. The results are in and I want to address a couple comments directly. I do not want you to think that these are rebuttals, nor will I try to defend the Lodge, I will not even take a side. I want to give my view of the comments. I am happy the comments were posted (anonymously) because we need to know where we have to improve. We need to talk to each other and listen to each other if we want to be successful in our Masonic journey. For those who answered you are anonymous but I personally think it is best to voice your opinions in person. We spend about an hour having dinner and general Fellowship before we open Lodge, we then have at least another hour after we close Lodge. These are perfect informal times to voice your opinions, ask questions, and get involved. If you want fell free to pull me aside and talk one on one. I am no authority in the Lodge, none of us are, but I am one that is pushing for change so if the boat is rocking, they expect it is me. What did you expect of Masonry before you “knocked on the door”? I knew nothing about masonry, except I knew my dad’s friends who were masons, and that they were quality gentlemen whom I had grown up knowing and thinking highly of. I wanted to be among those type of men. This is common in quality men seeking Masonry. Quality men want to be gentlemen and they understand that to become better they need the influence of other quality men. I like to think that each of us who knock on the door are already good men. We are looking for another good man to answer the door and welcome us into a group who will teach us, learn from us, so that what is gained is equal to that which is given. In reality the good man knocking on the door becomes a better man, the good man answering the door and the group of men welcoming in the new man also becomes a better men. We all gain and become better with each new Brother. Sadly we also suffer when a Brother walks way. Fellowship in a lodge that did something more then just open pay bills close and everyone departs. Learning, presentations guest speakers. Brotherhood which included time after a meeting for cards or some entertainment. YES! Well that is just the opinion of these two Masons. Business must be addressed, we have to pay the bills but who joined Masonry so they could pay the bills? We can do that at home where we can fully enjoy the act of paying bills… Hmm? We are a social organization, we bond during dinner, we joke over cookies and coffee. But when was the last time we actually had Masonic education? What about an esoteric conversation? What do we use the two foot ruler for? Yes but why? There is so much to learn about Freemasonry and we choose to spend our time on bills. Now let me also say that we are trying new things. We started the Cinco de Tuesday’s on every fifth Tuesday. Starting this year, each Movember we will grow mustaches and raise money for men’s health. We are trying to get some good Masonic education presentations together to enlighten. 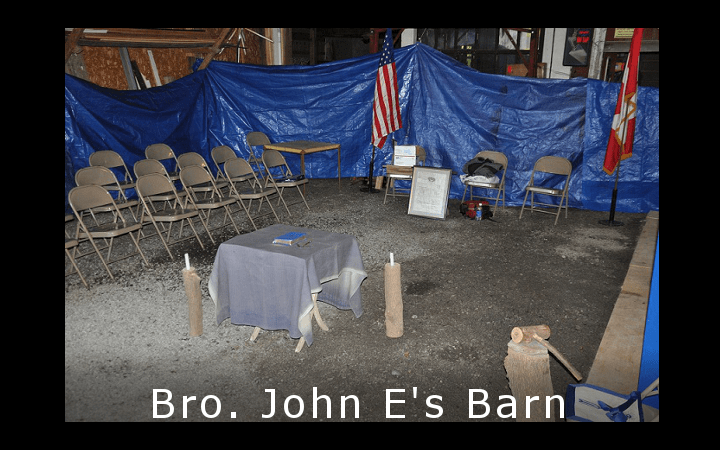 Things are starting to happen and we need your enthusiasms, knowledge, and wisdom to help contribute to the betterment of everyone at the Lodge. 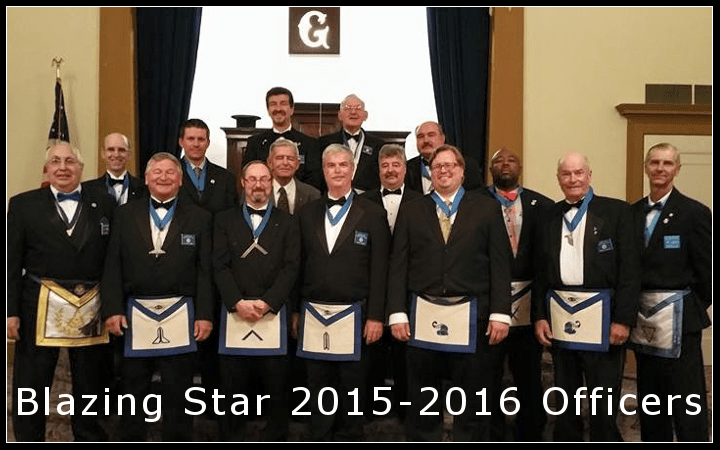 Now that you are a Mason, what is Masonry offering you? The primary thing was instant friends. Immediately upon entering the building, found a group of instant friends, and it didn’t take long to discover that those friends are all over the place. This is absolutely true and it makes me feel good that this Brother feels this way and that we made him feel this way. We are friends. Sometimes we throw the word Brother around too much and sometimes what we need is a friend. This is important to me, to know that I have a friend and that I am a friend to another. A chance to come to lodge to try to make a difference. Ascending through the chairs with the hope of someday leading a successful lodge of such. Allow me to break this one into pieces. First I want to reword it if I may. A chance to come to Lodge, ascend through the chairs, and one day lead a successful Lodge of better men, thereby making a difference in their lives, who will then make a difference in their communities and ultimately by the actions of my Brothers we will make the World a better place for everyone. This Brother’s statement is so profound, so full of the true meaning of Freemasonry everyone needs to read that again. Remember when you are Master and beyond, that day you walked through the inner door a good man full of expectations. Hopefully, you will see them coming though that same door just as good and full of expectations as you were. What are you looking for from Masonry that you are not receiving? Masonry is something you can get as involved with as you do or don’t wish, which is nice, because it accommodates the interest level of any man. But I do wish we had more members. Not just quantity, we always want the kind of man who fits in well and enjoys it, but it sure would be nice to be in a situation where we didn’t have to sweat it out every year to fill officer chairs, or rely so heavily on a handful of members to carry the load. As it is today, basically everybody who regularly attends will be asked to take an officer position, which isn’t unreasonable, but there is a place, a real place, for brothers who just want to visit, enjoy masonry, enjoy friendships, but not feel obligated to take a position of responsibility in the lodge. There’s nothing wrong with brothers wanting to be a sideliner, and I wish we had the numbers in the craft to support that. I am going to take sides on this one. I completely agree with this Brother. If one of us does not want to take an officer’s chair, then they should not be made to feel obligated to do so. It is certainly possible that we lost some of our new Brothers because we immediately pushed them into an Officer’s chair. We essentially robbed them of the learning experience that comes with sitting on the sidelines. What if that Brother is not comfortable with public speaking, had a bad experience, or just wants to take it all in? Now we throw him into the chairs with the added pressures of learning lines and being “on stage”. For some that is enough to make them walk. I want to take this opportunity to invite any Brother who took an Officer’s chair against their wishes to come back to the Lodge and relax on the sidelines. I will take the heat from our Worshipful Master. No pressure Brothers, just come and enjoy the brotherhood. Coming to Lodge means you are participating. We have plenty of Officer chairs available. However, even if you sit on the side you are just as much a part of that Lodge as the Worshipful Master. You have just as much to contribute to the Lodge and Brothers in the Lodge as anyone there. Ascending through the chairs is admirable, necessary, and a bit of an obligation to your Lodge. I don’t see our lodge as successful in getting or retaining membership. It isn’t a very active lodge and new members are few and the ones that have become don’t return. This is obviously a concern of everyone. Membership is down, those who are active are not very active. We need some ideas, we need our member to come to the Lodge and talk about their ideas. We have over 100 paying members, and out of those 100 members about 10 show up for a stated communication. A good percentage are out of town, or cannot physically make it to the Lodge and we understand the many other obligations that come up that prevent us from making it to the Lodge. However, you also made an promise to the Brothers in the Lodge. You can read a little on my Quality Vs. Quantity post about that. As we implement ideas, get new ideas, and Brothers start to return to the Lodge to see what we are doing they will attract new members and more activities will result with more participation. What is keeping you from coming to the Lodge? Difficulty sitting in lodge, use a walker to get around. Might have to leave before the meeting is over with. Have been a good attendance previous years and miss it very much, this news letter is great , keep up the good work. I am truly humbled by this response. I know it is difficult when age takes away the things we love most in life. I know that if any Brother needs to leave the Lodge before we officially close or needs special seating we can and will accommodate. We have our ritual and such but NOBODY will raise a brow if a Brother stands up and walks out. I am sure one will follow to make sure you are okay and need help, but we understand. I wonder if we could make an abbreviated Lodge communication once or twice a year, maybe cut out reading of the minutes, so we can welcome some of our seasoned and experienced Brethren back. We miss you too and I am sure there are some who never met you Brother yet hold you with as much respect and admiration was each Brother we see every week. Your encouragement about the newsletter truly makes me happy to be able to bring a small part of the Lodge to you and others who legitimately cannot make it to Lodge. This makes me want to do even better. Thank you Brother. There were a few more questions but these are the answers I felt needed attention. I think what I learned is that we are a good bunch of Brothers, there are improvements needed, and we need the help of each of our Brothers. Congratulations Brothers! Thank you for serving our Lodge.